I can’t believe Easter is almost here. I’m not ready! I know that’s pretty ridiculous because I’m not hosting Easter here at my house but I really feel like it snuck up on me this year. Whenever I think of Easter I think of my mom’s birthday and I certainly haven’t found anything to buy her yet this year. What do you get the woman who has everything she wants? I have no idea. The only thing I have for her so far are PEEPS®. She loves them so I got her a huge package of them this year for her birthday. 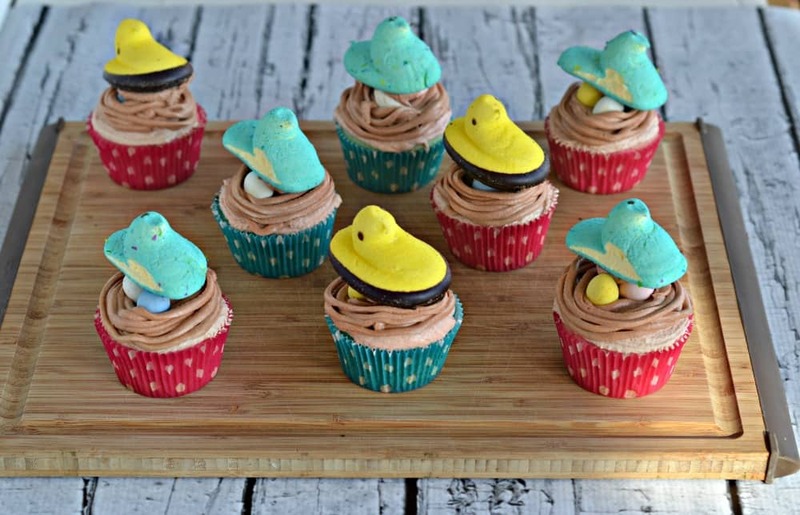 First thing I wanted to do was to make a fun Easter dessert that could double as a birthday cake or cupcake for my mom and I turned back to the PEEPS®. I wanted to make a cute cupcake but didn’t know how I wanted to make it. I started with a vanilla cupcake batter but before I poured the batter into the muffin tin I decided it needed some color. 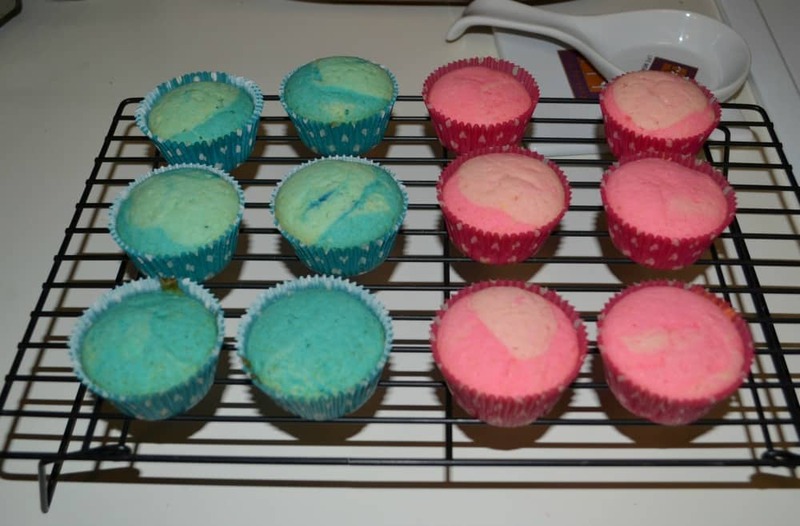 I dyed the cupcake batter half blue and half pink. It looked so much better with those bright colors. While the cupcakes baked I worked on a decorating scheme. I wanted to put the PEEPS® on top but I needed something for them to sit on. After a lot of thinking I determined I wanted them to be sitting on a birds nest complete with eggs. Easier said then done. I whipped up a batch of vanilla buttercream frosting and colored it brown. You can just as easily make chocolate frosting but I gave up chocolate for Lent and my brother can’t eat chocolate so I usually try to make at least one non-chocolate dessert for family holidays. I spread a thin layer of frosting on top of each cooled cupcake then used a small tip to pipe on a “nest”. I put a few chocolate eggs in the nest and set the PEEPS® chicks on top. The cupcakes were totally adorable! I loved the little nest with the eggs inside and the PEEPS® on top. Plus, it’s a surprise biting into them and seeing the bright pink and blue colors. They are totally perfect for the Easter holiday. 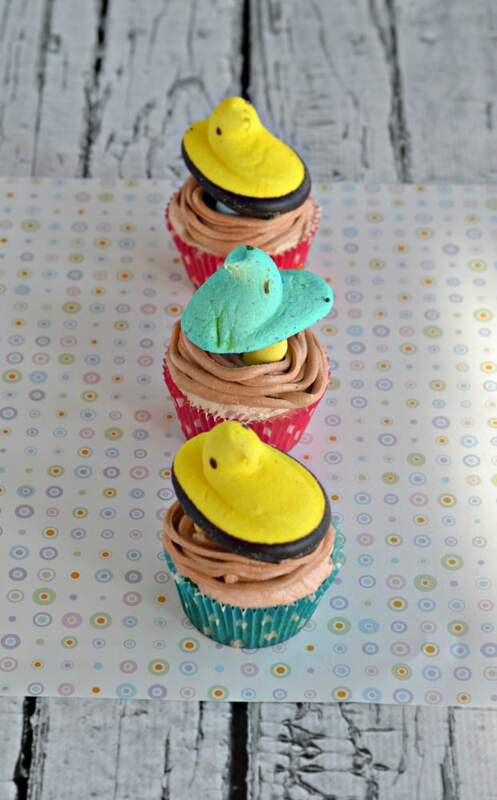 Vanilla cupcakes topped with frosting birds nests with tiny chocolate eggs in them with a PEEPS® chick on top! Preheat the oven to 350 degrees. Line a muffin tin with 12 cupcake liners. 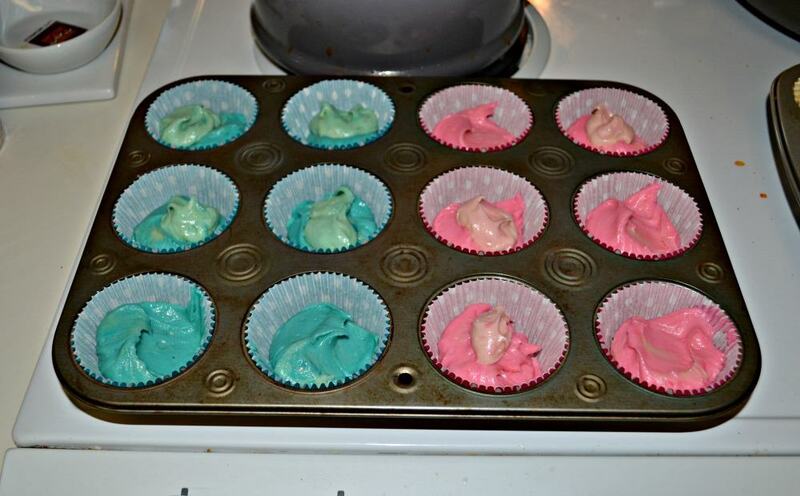 I used half blue and half pink to match the cupcakes. In a large bowl cream together the butter and sugar. Add the eggs and beat until smooth. Stir in the vanilla. Add in half the flour mixture and stir well. Mix in the milk and stir until combined. Stir in the remaining flour mixture. Divide the batter into two bowls. Color one pin and the other blue. Pour into cupcake liners, filling ⅔ of the way full. Bake for 20-25 minutes or until a toothpick inserted into the center comes out clean. Meanwhile, beat the butter in a large bowl. Add the powdered sugar ½ cup at a time until desired consistency is reached. Stir in the vanilla and milk and beat until smooth. Add in brown food coloring. 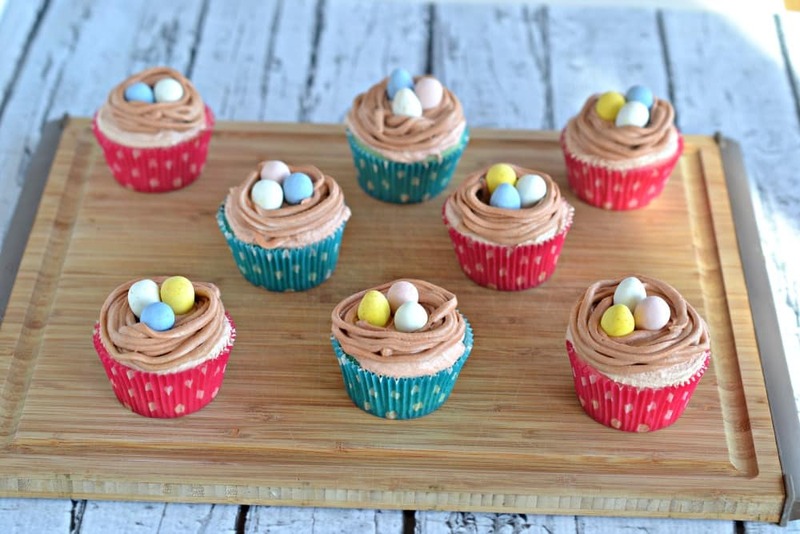 Place a thin layer of brown frosting on top of each cupcake. Place remaining frosting in a piping bag with a small tip. Pipe it on in a circle, making a nest. Fill each nest with 3 chocolate eggs. Top with a PEEPS® chick. 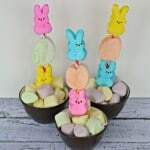 The PEEPS ® product, information and gift have been provided by Just Born Quality Confections, but all opinions, photos, and recipe are 100% my own. Those came out so adorable! I love how you put the little eggs under the Peeps, such a nice surprise! My son loves Peeps, he eats the different types for every season. He doesn’t remember a world where you could only get them at Easter. Love those cupcake liners, too! So pretty, yet not overly pastel. I love the nest cupcakes! What a clever idea. I have really been in a baking mood this week and I love cupcakes – so I may need to add this to my 3-day weekend to do list. Thanks for sharing, Heather! What cute cupcakes! I love the idea of the nest. 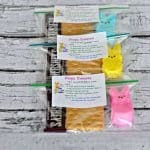 Although, we don’t eat peeps so would have to find an alternative. Still a great concept though. Will definitely look into making these. Thanks so much for sharing. 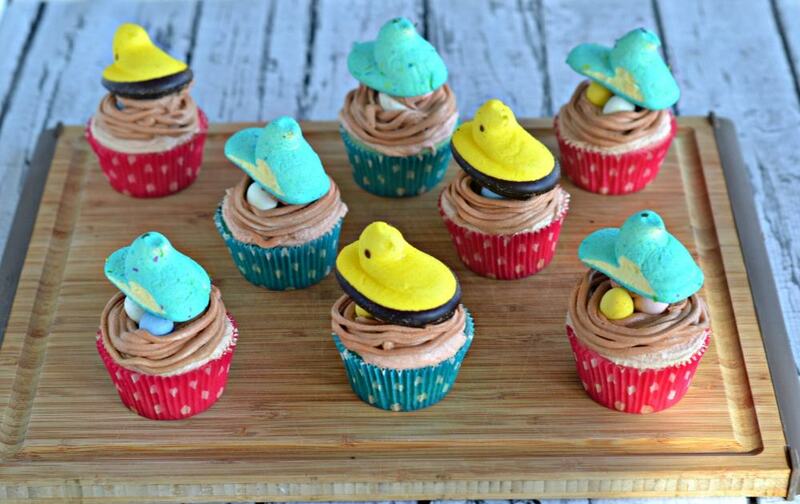 These Peeps Nest Cupcakes are so cute and perfect for Easter. I will plant to make these with my son later this week. Thanks so much for this easy recipe. These are adorable! I personally can’t stand Peeps, but I love how creative people get with them. I didn’t even notice the nest part until you explained it, but I think it’s perfect! 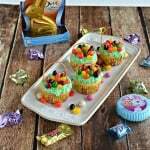 Fun Easter treats. It is so many things you can do with cupcakes! Your cupcakes look so delicious and scrumptious! 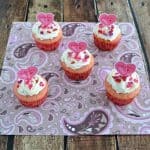 My girls love making cupcakes so I will past this recipe on to them and see if they can make theirs look like the one in the pictures. Thanks for sharing! These are so stinking adorable! I love how you swirled the two shades together for a cool effect. The little nest and eggs are so cute! Have a great Easter Heather! These are TOO cute! I love how simple they seem too. Definitely storing this away for next Easter. These are absolutely adorable. My son would love them!